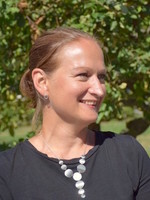 Anna-Karin Welmer is awarded a grant from FORTE for her project “Social Health And Reserve in the Dementia patient journey”. She will receive an amount of SEK 3.972.000 for the period 2019-2021. The role of social health in onset, disease course and prognosis of dementia remains underexplored. This project aims to unravel the interplay between social health and biological and psychological factors on the trajectory through dementia and to develop a framework for health and social care interventions. There will be a specific focus on the bidirectional link before and after dementia develops, the biological substrate on imaging, and the modifying role of brain and cognitive reserve.